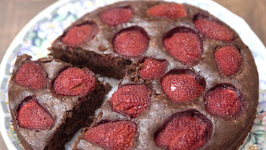 Learn how to make Chocolate Strawberry Cake at home with Chef Tarika Singh on Get Curried. 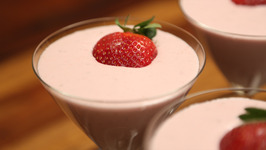 This kid-friendly project is so easy and fun! 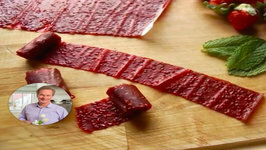 And it means you can ditch those store-bought chemical-filled fruit roll-ups for this healthy, homemade alternative. 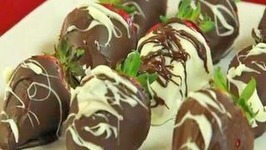 Today I am making one of the sexiest dessert on the planet. 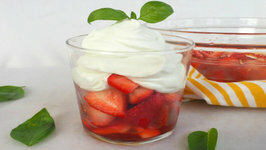 Don't be weirded out by the basil- it adds the most delicious subtle flavor to the whipped cream! 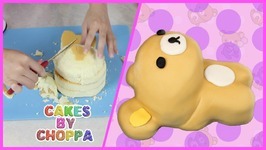 It's incredibly addictive and once you have it you'll want basil infused ..
need to relax the Rilakkuma way? 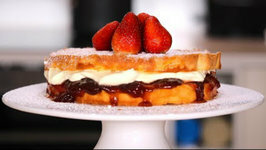 then this cake is for you! 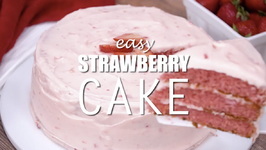 follow this quick and easy tutorial.. 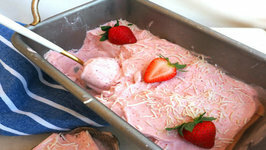 Fantastic dish for summer afternoons. 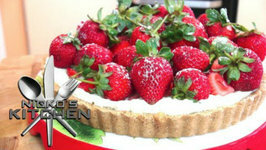 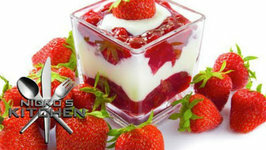 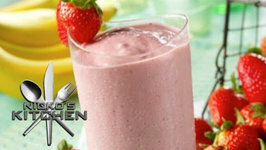 Learn how to make Strawberry Cheesecake In Glass an delicious and quick dessert recipe by Anushruti only on Rajshri Food! 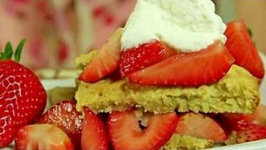 Is cheesecake your weakness, then here is the .. 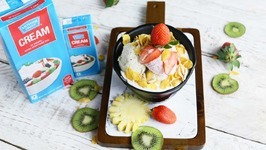 The rich creamy layer with fruits, is not only something youd love to indulge into but also simple, quick yummy in its own way too. 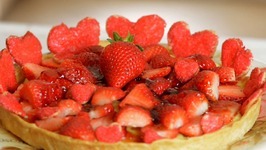 Rebecca Brand shows how to make a classic custard fruit tart with strawberries. 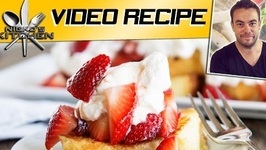 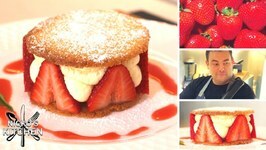 Homemade vanilla custard, the very classic French custard way, holds the strawberries, ..
Rebecca Brand shows how to make classic strawberry shortcake with a shortcake recipe that is the basic, quick, homemade shortcake. 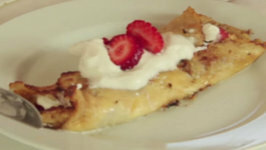 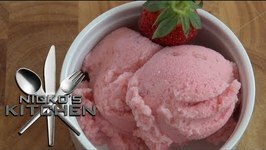 Rebecca Brand shows you how to make this delicious dessert. 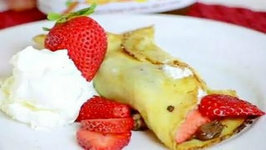 Dipping strawberries in dark chocolate or semi sweet melted chocolate is easy and Rebecca decorates the ..
Rebecca Brand shows how to make a Strawberry Nutella Crepe with a classic, easy crepe recipe, and shows the best technique to cook your crepe easily for a perfectly ..
Rebecca Brand shows how to make a Strawberry Pie. 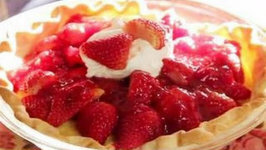 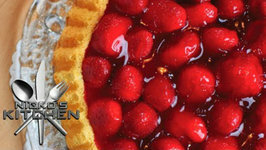 Fresh strawberries over a cheesecake style filling this quick easy way with the basic of ingredients make a delicious pie fast. 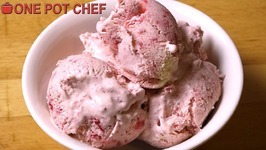 My Super Simple Strawberry Ice Cream has only 3 ingredients, doesnt require any expensive ice cream machines and doesnt even need churning.